Choosing a preschool for your little one can almost seem harder for you then it was when you chose the college you went to. You’ve probably gone to multiple schools, met with multiple directors, only to feel like you need to keep searching. After all, you do want the best for your little one, as you should. Choosing the right preschool definitely takes time and effort, but it is all worth it in the end when you find the right one. Just like you need to spend time on your entry in the 21st contest, you need to spend time when searching for a preschool. 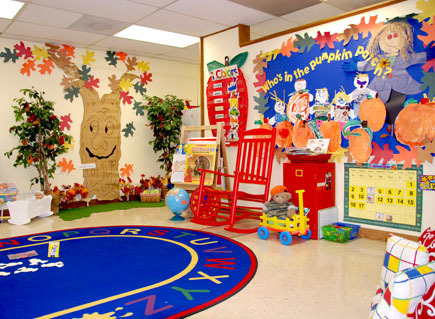 If you’re either in the process or getting ready to choose a preschool for your little one, check out these tips on how to ensure that the process goes smooth, and you end up with the right preschool for your child. It’s very possible that you fell in love with the first preschool that you looked at, and have your heart set on sending your child there. While it may be the case that that’s where you ultimately send him or her, you still need to check out other schools to make sure you’re not missing anything. Tour at least three or four preschools in your area, and the more the better. Sit down with the director for a meeting, and ask specific questions about things that are important to you. Ask parents of older kids for recommendations and what it is they like and dislike about their child’s schools. Just make sure you “shop around” so you can find the best place for your little one to learn for the next few years. It’s important that you choose a preschool that aligns with the values that you want to instill in your child, because they’ll be spending a lot of time at the school. In preschool age children, keeping things consistent is absolutely vital to proper development, which is why it’s very important the values in your home and in your child’s preschool are the same. When you meet with the directors, ask how they address certain issues like sharing, and make a decision after you have received answers. Every preschool will likely address different issues in different ways, so finding a preschool for your child that represents the values you are teaching at home is important to successful development. Only two states (Georgia and Oklahoma) offer free preschool to kids in their states. Since preschools in the other 48 states are privately run, it means they make their own rules. Check out the National Association for the Education of Young Children to ensure that the schools you are checking out are credentialed. When visiting the schools, make sure you inquire as to if a degree in early childhood education is required for the teachers. You want to make sure you’re sending your child to a preschool with the top educators, so making sure they have degrees is important.